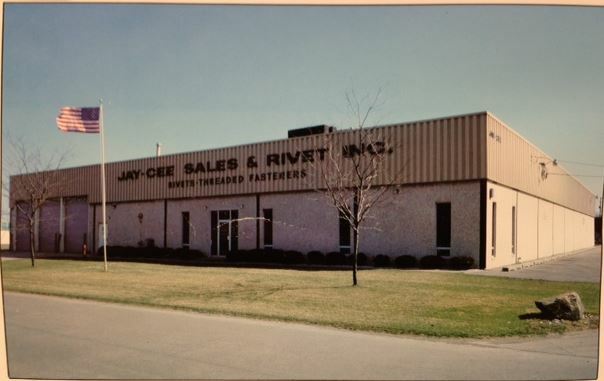 Our History | Jay-Cee Sales & Rivet, Inc.
Home » About Us » Jay-Cee Sales & Rivet Founded in 1948 and celebrating 70 years in the fastener industry. 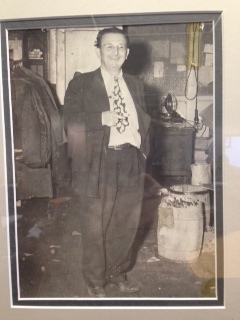 Jay-Cee Sales & Rivet Founded in 1948 and celebrating 70 years in the fastener industry. 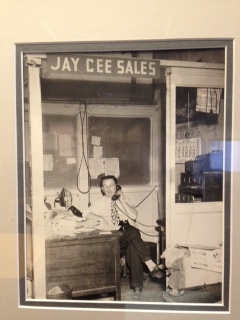 Jay-Cee Sales was started in 1948 by Jack Clinton in Detroit, Michigan on Grand River. 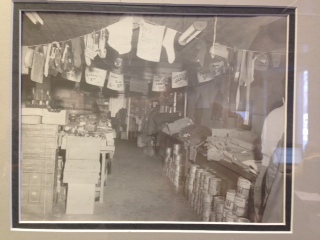 The store began as an Army/Navy supply store as well as other basic goods. Soon after the business opened, Jack was joined by his son Louis Clinton. Jack had a brother-in-law who was in the scrap/surplus business in Texas. He came across a surplus of various goods and fasteners, which included rivets and shipped them up to Jack. As soon as he received the shipment, he was able to sell them in no time. As business increased, Jack and Louis needed to move to a larger location with a warehouse to store their increasing inventory. In the mid 1950's the company move to Ferry Park in Detroit. In the coming years business continued to grow. In 1969 Louis’s son-in-law, Cary Weitzman joined the company. Shortly thereafter, Louis’s son Michael Clinton joined the company in 1972. In 1973 Jay-Cee Sales decided to divest all of their threaded products and concentrate on rivets. 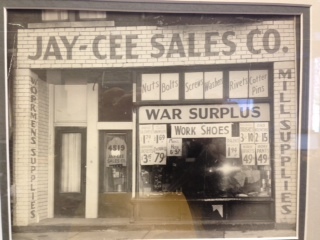 Again, Jay-Cee Sales out grew its building and relocated to Farmington, Michigan in July 1, 1974. Sadly, Jack Clinton passed away in 1980 at the age of 83 . 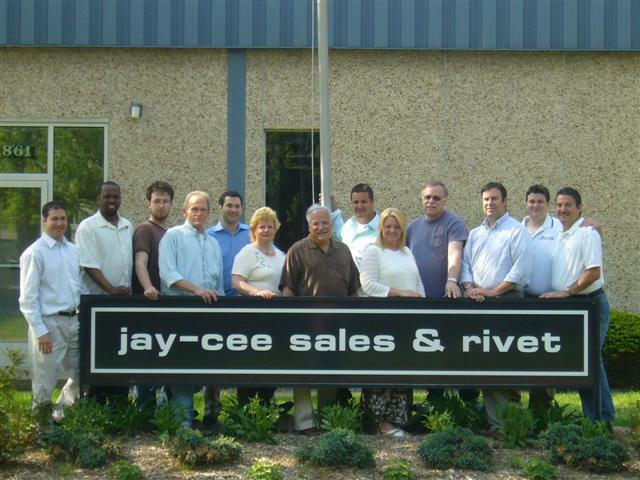 On October 20, 1980, Jay-Cee Sales was incorporated and became Jay-Cee Sales & Rivet Inc. Business thrived. The company added an addition to the warehouse in 1984 to give a total of 40,000 sq.ft. Unexpectedly, Jay-Cee Sales & Rivet was dealt a huge blow when Louis Clinton passed away in 1993 at the age of 66. In the years that followed, Jay-Cee Sales & Rivet was joined by its 4thgeneration when Greg Weitzman (1994), Allan Weitzman (1998), Jason Clinton (2003), and Bryan Clinton (2003) entered into the family business. Since then, Jay-Cee Sales & Rivet has added 15 new product lines including rivet nuts, threaded inserts, helical inserts, clevis pins, drive screws, threadlockers, thread sealants, various adhesives, an expanded tool line, and more. An online store was designed to service our retail customers at www.rivetsonline.com, which was launched April 28, 2010. In 2015 Allan and Greg Weitzman established a separate company, Value Fastener, LLC. Value Fastener was designed to be an online based company, selling fasteners that did not compete with Jay-Cee Sales like screws, nuts, and bolts. The company prospered over the next few years, highlighting the Value Fastener brand throughout various industries. Expansion was on the horizon and the Weitzman’s thought it might be best to be acquired by Jay-Cee Sales, which, in 2019 purchased Value Fastener as a Jay-Cee Sales product line. Value Fastener, specializing in threaded fasteners such as screws, nuts, and bolts, was the ideal merger. Value Fastener adds over 32,000 parts, with 4 shipping locations throughout the US and specialize in bulk packaging. Together the merger created a true fastener house that boast one of the largest inventories of rivets and now a complete line of threaded fasteners all under one roof. Rivets can be ordered online at www.rivetsonline.com and Value Fastener host their own e-commerce store at www.valuefastener.com or feel free to call and place your order over the phone at 248-478-2150. Sadly, Cary Weitzman passed away March 7, 2019. After 50 years with Jay-Cee Sales & Rivet, Cary will be missed but his contributions to Jay-Cee Sales & Rivet will never be forgotten. Jay-Cee Sales & Rivet continues to grow while concentrating on its current product lines, researching products that would complement their current product lines , and most importantly, focusing on customer service. (40,000 sq.ft. filled to the top with over 8 million ounds of fasteners in stock).